Antero Llamas LLC provides pack llamas and gear for rent. 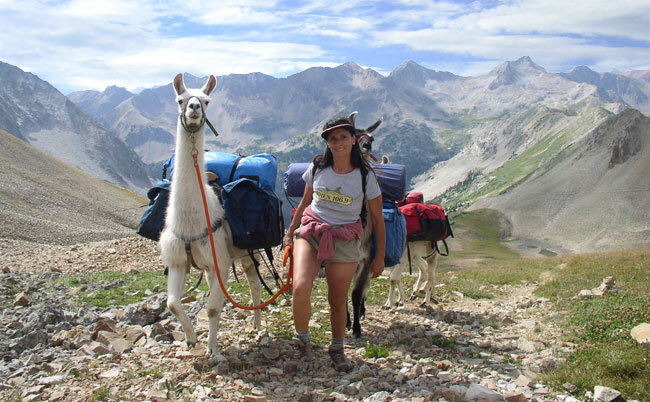 We are your trusted source for self-guided llama treks in central Colorado, USA. Llamas are gentle, intelligent animals whose sure-footedness and strength make your outdoor adventure easier and more enjoyable. They are quiet and low-maintenance, making llamas ideal trail animals. Please take a moment to explore the services and resources available from Antero Llamas. Many of our customers are introduced to packing with llamas for the first time in our 2-3 hour Llama Packing 101 workshop. We can provide training both at the farm or before a trip, and several times a season we provide weekend training trip workshops. Seasoned trekkers return to us year after year, for the reliable, professional experience they have come to expect from Antero Llamas. Contact us today to reserve llamas for your next expedition.